These days I still call him YB even though he's no longer an elected representative out of respect and fondness for Wee Choo Keong. He was the first lawyer to offer me his services, pro bono, when I was sued by my former employers in 2007 for my unflattering write-ups about them on my blog. In return, the bloggers campaigned for the axed DAP man during the 2008 general elections, where he pulled one of the biggest upsets. He did not contest in the 2013 general election. And now, two years later, YB Wee is Chairman of Tourism Malaysia! It's an interesting appointment, not least because Wee is known to be one of the fiercest critics of both Malaysia Airlines and Air Asia, the main carriers of our inbound tourists. Last year, we hosted 27.4 million tourists who spent RM72 billion. But tourist arrivals dropped more than 8% in the first quarter of this year so Wee will have a lot of work to do. One of the very first things that Wee should do is to tone down his diatribes against AirAsia, Tony Fernandes and MAS. I mean, where does he get off when he allows people commenting in his blog to call Tony Fernandes "pariah" and the new CEO of MAS as "white scum"? Is this the mindset we can expect from the new head honcho of Tourism Malaysia? Put a,sock in it, Wee. Don't let your personal prejudices and agenda affect how you manage your new responsibilities! Congratulations on your appointment, Sdr. Wee. To: Mr. Wee, the gentlemanly problem-solver .... may harmony be ours to keep. A lot, if not all Malaysians, who are living to day might not know that two planes it lost recently are not the first and second ones. Back in 1977 one MAS plane crashed in Johore, killing all the passengers abroad. Least we forget the history of MAS ! YB Wee should read and digest the latest Skytrax 2015 world airline rankings, especially where AirAsia is ranked again as the best low-cost carrier in the world and where MAS doesn't rank in the top 10 airlines. Wee, in his blog, has sought to denigrate and demonise AirAsia at every turn and at every opportunity. Why is something he has steadfastly refused to answer. 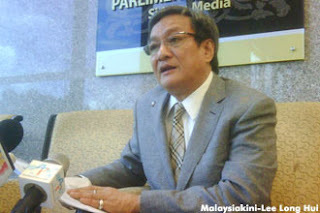 Under these circumstances, therefore, what does he bring to the table that can benefit the Malaysian tourism industry? Is he going to push the government to license more integrated resorts/casinos? Is he going to sell Malaysia as a tourist-friendly destination given the rising decibels of Islamist rhetoric in the country? Is he going to push Malaysia Airports to position KLIA front and centre as a true competitor to Changi Airport? Is he going to acknowledge that low-cost carriers have irretrievably changed the nature of the regional airline industry and tourism markets? Or is it going to be syiok sendiri business as usual at Tourism Malaysia? Malaysia is a land of scenic beauties and amazing landscape that mesmerize the travelers from all over the world. This city is the amalgamation of scenic natural beauty, hostile culture and luxury lifestyle. There are lot things to do in Malaysia that mesmerize the travelers.